I had the immense pleasure of sitting down with Owen Anderson, Ph D to discuss all things running! Owen is one of the world’s foremost experts on the subject as many of you know. 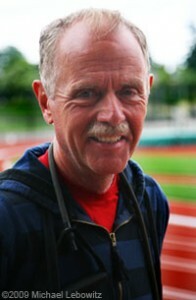 As the long-time editor and writer of Running Research News, contributor to many running publications including Runners World, Men’s Health, and National Geographic Adventure, no one has written more extensively on the topics of running, strength training for running, injury prevention, and sports nutrition. We are honored and grateful that he took the time to share his knowledge and expertise in this podcast. Our conversation is rich and deep, and I know you will get a lot out of listening. One issue we take head on is the fact that few athletes are more wedded to outdated training paradigms than runners. So many runners continue to train in certain ways because "it’s the way its always been done." How many of you adhere to the paradigm, “If you want to get better, run more miles”? Owen discusses what the latest and most comprehensive scientific evidence says about how to stay injury free, and how to get faster. More than two dozen years ago, he first presented the ideas of combining strength and resistance work with endurance training. At the time, there were myriads of naysayers and doubters of the science he presented. Owen presents a fascinating look at how he handled and dealt with those unwilling to see and accept the scientific evidence presented to them. We also talk about the importance of training the “nervous” system, vs. the more outdated, old-school approach that focuses only on training our cardiovascular system with run volume and "work". You will learn a great deal about the importance of coordination, and why "training the brain," and "grooving quality movement patterns first" through correct exercise execution is critical to making you a better runner. It isn't just about more miles, or harder miles. Concepts of fatigue and of the central governor controlling effort in a race or run are also discussed. Owen even lays out a general step-by-step approach for would-be runners. If you are interested in beginning a running program, this is perfect for you. So, dive in with us for a great running discussion with one of the world's leading experts on running, and learn why the OLD ways of training have given way to NEW science-based ways of training. You will get faster for it. Also, be sure to check out Owen's new book, Running Science, published by Human Kinetics. You can find his website Education Runner here, and you can follow him on Twitter at @owenanderson7. Got questions? Hit us up in the comment section here, or on our Facebook page. Help us share the positivity—click here for a ready-made Tweet to thank Owen for sharing all his expertise!